Toilets make up approximately 24 percent of a household’s indoor water consumption, making them the biggest water waster of anything else in your home. Old toilet models can use up to 6 gallons per flush, whereas new models use 1.6 gallons or less. According to estimates from the Environmental Protection Agency’s WaterSense program, replacing an old toilet can help save 13,000 gallons of water and $110 per year. A new toilet with the WaterSense label will indicate that it has been certified for efficiency and high performance. 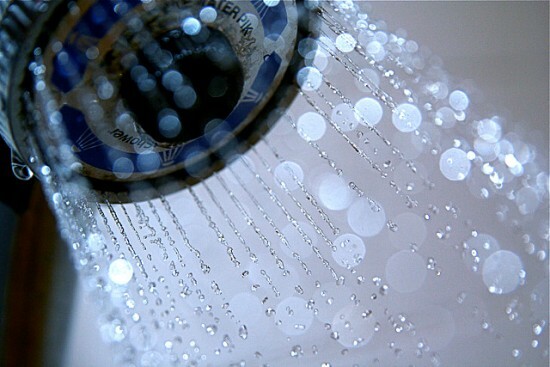 Showers make up 20 percent of all the water used in an American household. According to a study by the Water Research Foundation conducted in 1999, the average American home used 30 gallons of water per day just on showers. Today, that number remains steady at 28 gallons. However, the installation of a WaterSense-labeled showerhead could help save 2,900 gallons of water per year. This is because WasterSense-labeled shower heads only dispense two gallons of water per minute, though you will not feel the difference because of their peak performance. In addition, if you shorten your shower from the average eight-minute duration to seven minutes, you can help save an additional 550 gallons of water per year. Kitchen and bathroom faucets make up nearly 19 percent of a home’s indoor water use, placing them just behind showers as a big drain on water resources. Today’s federal requirements limit a faucet’s flow to 2.2 gallons of water per minute, but if you are using an older model, it can dispense anywhere between 2.75 and 7 gallons per minute. Switching to a WaterSense-stamped faucet could help save up to 700 gallons of water annually. However, for those wishing to keep their older faucets, WaterSense make an aerator, an insert that mixes air with the water flow to help conserve it. If you have an older washing machine, it may be using anywhere between 23 and 40 gallons of water per load. Machines built prior to 2003 are especially guilty of wasteful water use. According to Energy Star, “a standard clothes washer that is over 10 years old [is] costing you, on average, $210 a year.” However, washing machines with an Energy Star label use no more than 13 gallons per load, saving up to 3,000 gallons of water per year. Changing out your dishwasher can also contribute to household savings. The Water Research Foundation notes that “the average water volume per dishwasher load decreased 39 percent,” from 10 gallons per load in 199 to 6.1 gallons today. Some of today’s Energy Star-labeled dishwashers save even more, as they use only 3.5 gallons of water per load. Whether you’re using an old or new faucet, taking a simple step like turning off the running water while you’re brushing your teeth or shaving can help save at least 8 gallons of water per day (assuming you brush your teeth for the recommended two minutes). Also, if your faucets and shower heads are leaking, or your toilet is running, get them fixed as soon as possible. A running toilet can waste up to 200 gallons per day, and a faucet dripping at just one drip per second can waste 3,000 gallons per year.